Born 1982 in Israel, lives and works in Israel. Lali Fruheling completed her MFA at the Bezalel Academy of Arts and Design in Tel Aviv in 2012. Her primary media are installation and sculpture, and she works with various types of materials, including nylon threads, embroidery, and paper. 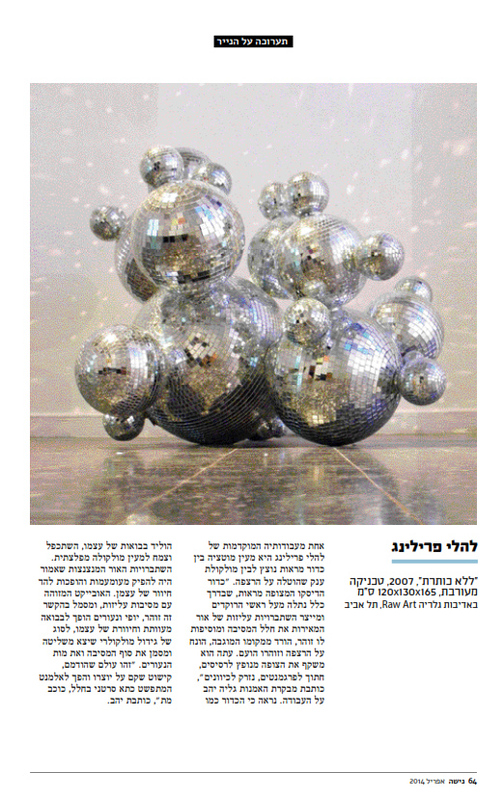 Fruheling has had solo exhibitions at Raw Art Gallery, HaMeorav Gallery, and Darom Gallery in Tel Aviv. Her work has also been shown in various group exhibitions, in venues such as the Israel Museum, the Herzliya Museum of Contemporary Art, MoBY (Museums of Bat Yam), Jerusalem Drawing Biennial, Manofim Festival in Jerusalem, Bezalel Gallery in Tel Aviv, and Yaffo23 in Jerusalem. Fruheling was awarded the 2015 Ministry of Culture Young Artist Award.